We do all kinds of auto repair including mufflers, brakes, shocks, and all suspension work including alignments. We also do engine repair and oil changes. Bill's core business is wrecker service. We do light duty and flatbed towing. We handle lock outs, fuel service, flat tire changes, jump starts, recovery and winch out. We have tractor and industial radiators including Case, Ford, Ferguson, John Deere and more. All radiators are pressure checked and ready for sale. Serving Williamston and the Greater Lansing Area for over 50 years! October is fall car care month! Make sure your vehicle is ready for the winter season with an inspection from Bill's certified technician. Click on the link below for more safety tips for the winter season. Knowing your tires' "born on" date is key for safety and service life. 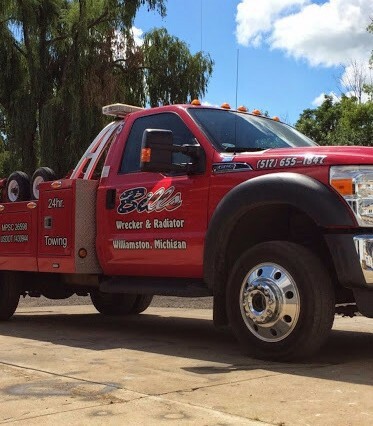 To extend the life of your tow truck's tires, save fuel and operate safely, regular maintenance like checking air pressure, visual inspections, rotation and alignment are paramount. So, now matter how odd your move may seem, give us a call. Chances are we can help!